UK satcaster Sky has boarded the upcoming reboot of Tove Jansson’s kids property Moomins. 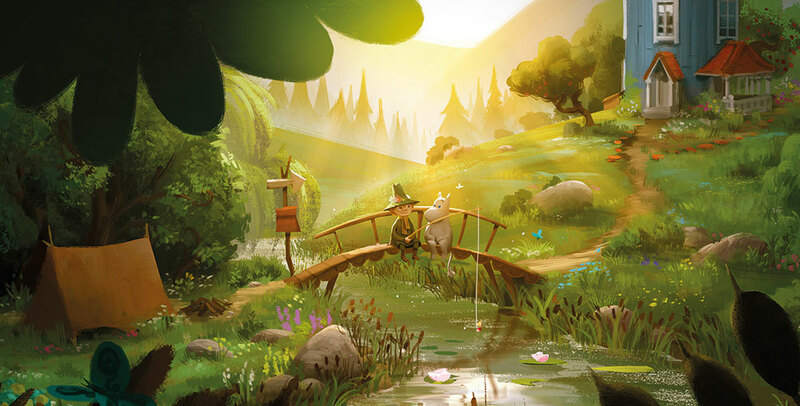 Sky 1 in the UK and Ireland will broadcast Moominvalley, marking one of the largest investments in kids TV for Fox-backed pay TV service Sky. Moominvalley comes from Gutsy Productions, a Finnish production house that acquired a multi-year licence to produced Moomins-themed programmes from Moomin Characters, which houses and protects the IP. Stars such as Rosamund Pike, Kate Winslet, Warwick Davis, Taron Egerton, Matt Berry and Richard Ayoarde are starring in the series, with comedian Joe Wilkinson, Bel Powley and Edvin Endre newly added to the cast. Finnish pubcaster YLE is already attached to Moominvalley, which will air on Sky 1, SVOD service Now TV, the authenticated Sky Kids app and other Sky on-demand platforms in late 2018. Swedish-speaking Finnish author Tove Jansson first committed the Moomins to paper in 1945. There have subsequently been a number of TV series, including a German-Polish-Austrian stop motion series in the late 1970s and early 1980s and a Japanese-Finnish-Belgian anime coproduction, Moomin, between 1990 and 1991.